You are at:Home»ETF Strategist Channel»Inverted Yield Curve – Time to Panic? Inverted Yield Curve – Time to Panic? In light of recent market volatility, we wanted to share our view on the market and economy. 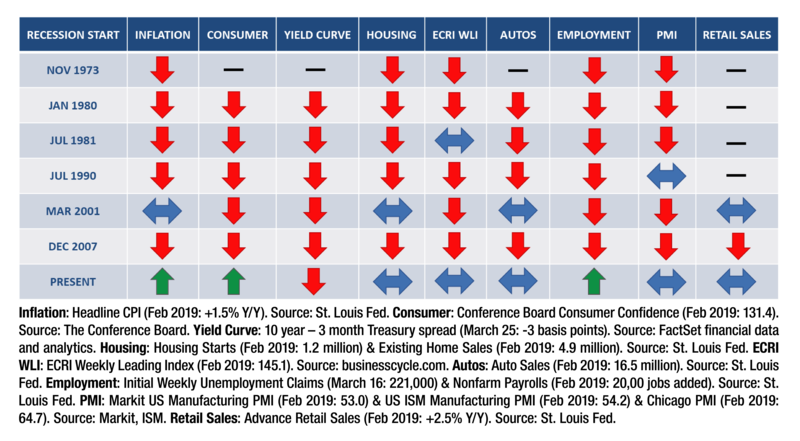 A principal source of volatility during the week of March 18-22 was the Federal Open Market Committee’s dovish announcement that it is now forecasting zero rates hikes in 2019 (down from 2 in December) and that it will end its Balance Sheet Normalization in the fall. For the S&P 500, the third year of Presidential cycle is typically one of the strongest, and a strong January/February period (which we have had) is usually followed by continued strength for the balance of the year. Our target range for the next 12 months for the S&P 500 is 2,600 on the downside (-7.0%) and 3,000 on the upside (+7.3%). In response to the FOMC’s announcement, the 10 year – 3 month Treasury spread inverted (went below zero) for the first time since 2007. However, the 10 year – 2 year Treasury spread remains positive and inversions are not great recession predictors by themselves. Historically, the lead time between an inversion and a recession varies greatly, but for yield curve inversions that remain negative (not moving back and forth above and below zero), the lead time until a recession is typically 55 weeks. As we said above, inversions by themselves are not great predictors of recessions. It takes weakness in other areas of the economy to move into a recession. Following the FOMC’s announcement, the 10-year Treasury yield dropped to its lowest point since January 2018. It is important to remember that lower 10-year Treasury yields are also reflective of lower inflation (positive). With inflation around 1.5%, and productivity picking up, higher market multiples are supported. The Leading Economic Indicator has been flat over the past 5 months but remains at elevated levels on an absolute basis (neutral). Consumer confidence is strong (positive). Household formation is running faster than housing starts which means there is pent up demand. This demand is still price dependent, but lower mortgage rates should help release some of it (neutral). See chart below for our Recession Dashboard. 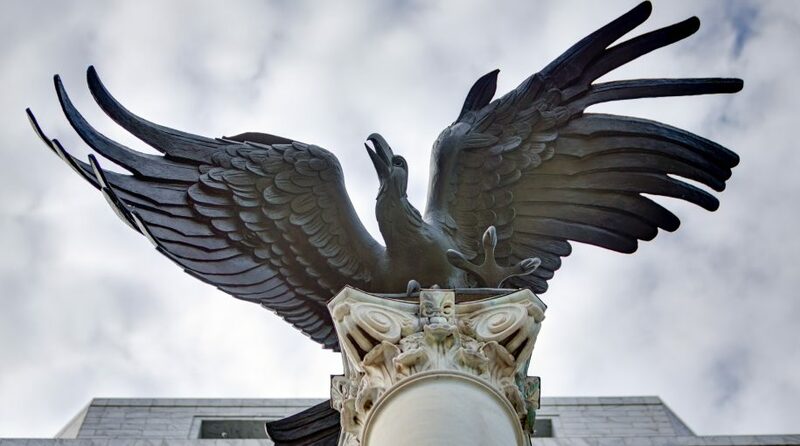 The Financial Sector, and banks in particular, were hit hard after the FOMC’s announcement. Financials have been hurt by the perception that lower rates will squeeze net interest margins. Those margins might narrow, but will remain positive, and the sector is trading at the low end of its relative range to the market. Financials are still growing earnings at 10% with modest loan growth, increased dividends, and growing buybacks. Fundamentally, the Financial Sector appears sound. China stimulus may start to positively impact the second half of 2019, which would be positive for Europe as it is highly levered to China, and the global economy given that China is the 2nd largest economy. The US delegation, including Treasury Secretary Mnuchin, will be in China this Thursday (March 28th) to continue trade talks. Alex Varner is Director of Research at Main Management, a participant in the ETF Strategist Channel.